On our final night at Savegre, I told my group that we had scheduled a surprise stop for them the next day. Instead of heading directly back to San Jose, we would be heading to the Pacific Coast and Carara National Park. We hadn't planned to visit this area at all and everyone was extremely excited about the possible additions to our trip and life lists! We started out on our 3.5 hour journey just after breakfast and arrived in the Carara area around 11:30. On our way to do a mangrove boat tour, we spent some time birding along the roads in Tarcoles. It didn't take long before we had found some Scarlet Macaws and a pair of Turquoise-browed Motmots! Other highlights included Golden-napped Woodpecker, Black-hooded Antshrike, and Rufous-napped Wren. (Complete eBird List). 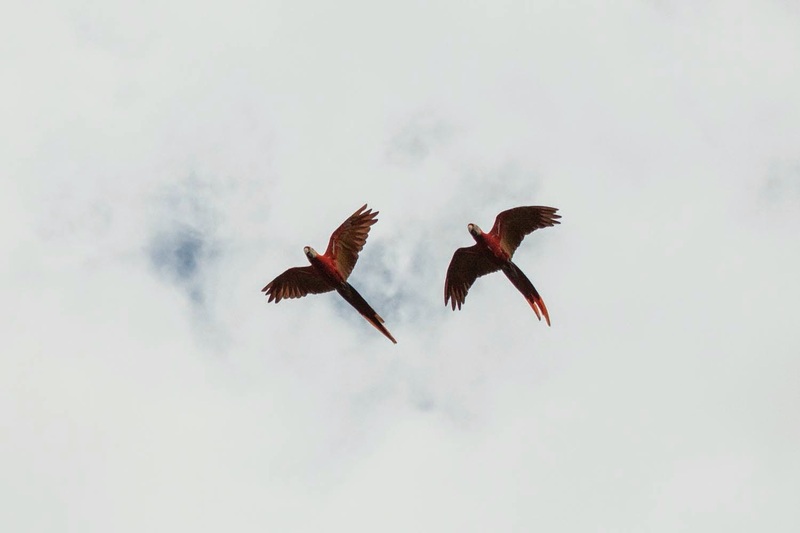 A couple of Scarlet Macaws that flew right over our heads! 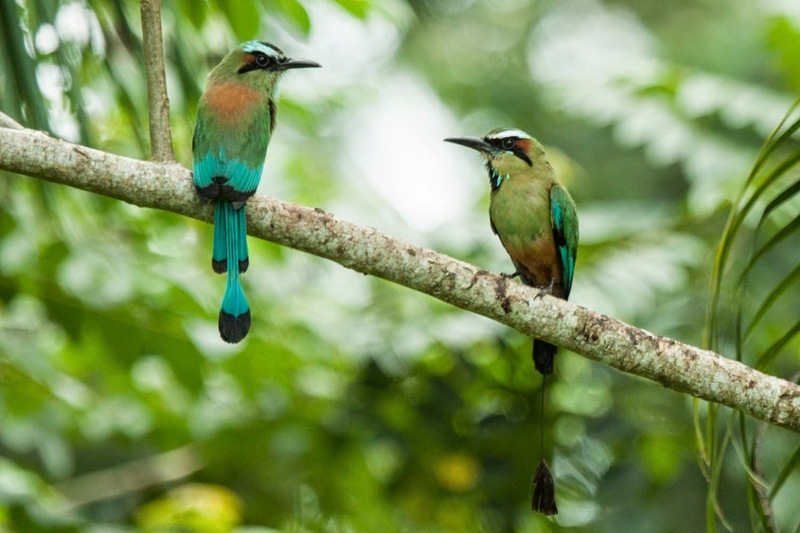 These Turquoise-browed Motmots seemed to enjoy the attention we gave them as we took their photo. 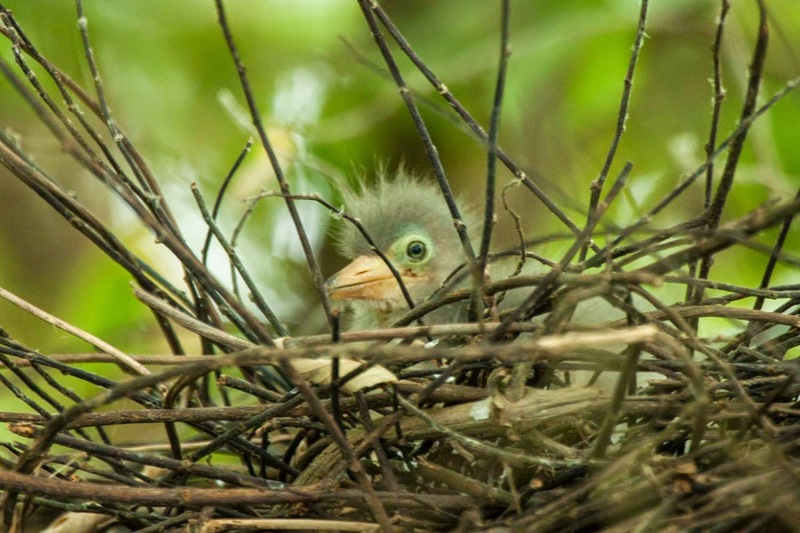 An adult Green Heron stood watch as we took photos of this young bird from the boat. Although it was getting late and looking like it was going to rain, we really wanted to make a stop at the River Trail that is part of Carara National Park. We had the driver drop us off so that we could bird for a bit and man were we glad that we did. After seeing howler monkeys and White-faced Capuchins in the parking lot, we started down the trail and immediately ran into a nice flock of birds! We weren't able to identify all of the birds in the fading light but what we did identify was amazing! We were all very excited about the Ruddy-tailed Flycatcher that was in the flock and as most of the group moved ahead to keep watching it, Tyler noticed another bird sitting quite still. He got me on the bird and we were both thrilled to see that it was a Pheseant Cuckoo! We piled back into the van and made the short drive to the Rio Tarcoles Bridge to look at the huge crocodiles that live in the river below and to watch the sunset. It was a wonderful ending to a magnificent trip! 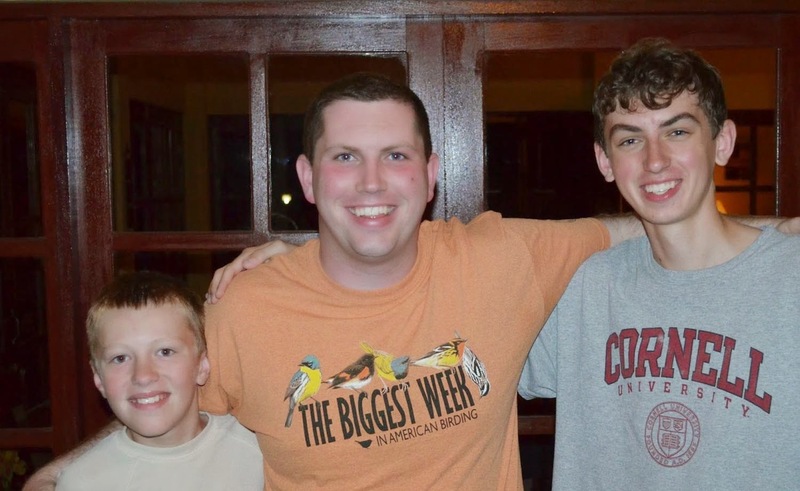 Me with Ethan and Tyler at the end of a very successful Costa Rica trip!